Seeds of Change - Heiner Benking's Blog - quergeist.info: Wikipedia, Wikimedia, Wikidata, .... is Wikicontext next? 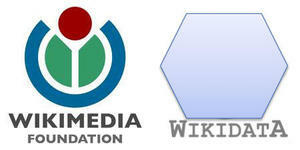 Wikipedia, Wikimedia, Wikidata, .... is Wikicontext next? Exciting days in Berlin about the Future of Knowledge Sharing Wikimedia Conference 2012 Major step we were hoping for already more than 20 years ago: bridging repositories in different languages and reducing redundancies, avoiding confusion and wrong or varying statements. We tried with meta-information and meta-data since the late 80ies: -- UNEP_HEM harmonization - (pls. check also: Multi-lingual access refs ) and [link], and the topics make me recall the work of John O'Connor and What is going on in Information Processing? Worldbank 1994, where the question was what approaches were "in the air" for a World Press Center or for worldwide data harmonization. PS: I tried with NEW ENCYCOPEDISTS [link] recalling the call of Robert Jungk some time ago. Maybe start with Anthony Judge an his "Kairos" page: [link] or the Systems Encyclopedia links above. For me teh linkage between concepts / data and their context is essential and we need to explore it ! - negotiating meaning. Data like values are on the edge to be meaningless when out of context! - So you see this are my 5 Cents for '''Wikicontext''' !! For more see [More] below. Late note: I came too late: Jimmy Wales and the media hype around Wikidata is already "history". So today on Sunday there were only ward working delegates left in a "closed shop" discussing "open knowledge" - or maybe data, not wisdom. I met the people I wanted to meet around sign-integration and have to discuss with Jimmy Wales another time his lecture for the Mercator Foundation description [link], the keynote he gave at the 500 years Mercator celebration in Duisburg. Too bad, I really felt he needs som other views on worldmap distortion and focus on certain languages and user groups. YouTube Wales on Maps and Wikipedia I wrote much about this when UNESCO introduced with/at the Frankfurt Bookfair and GOOGLE its GoogleMaps for the first time in 2006.